In connection with the Award in Predefined Areas (APA) for 2016 Statoil has been awarded interests in 29 exploration licences on the Norwegian continental shelf (NCS), 16 of these as operator, and 13 as a partner. “The NCS is the core of Statoil’s business, and we are pleased with the awards in the 2016 APA round, which will allow us and the industry to continue exploring for profitable, high-value prospects. Combined with the numbered rounds the annual licencing rounds are the authorities’ main instrument for helping maintain exploration activities on the Norwegian continental shelf. 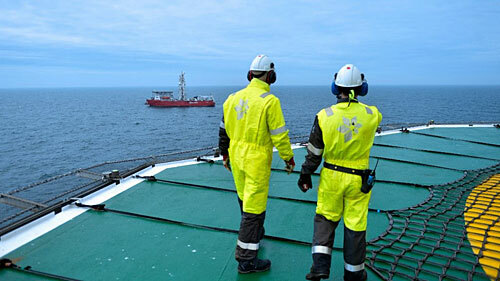 New discoveries are needed in order to offset the declining production on existing fields on the NCS,” says Jez Averty, Statoil’s senior vice president for exploration in Norway and the UK. The award is on a level with APA 2015, when a record number of licences were awarded. This year’s offer includes one commitment well, PL894, in the Norwegian Sea. Statoil is partner with an interest of 40 percent, Wintershall is the operator with an interest of 40 percent and Petoro is partner with 20 percent. The licence includes a work commitment to drill an exploration well within three years of the award. A potential discovery will have a follow-up potential and may add important additional volumes to Aasta Hansteen. The award illustrates Statoil’s intensified search for new resources in the Norwegian Sea. “Over the past two years we have replenished our portfolio with interesting prospects. This is reflected in the exploration plan we have published for 2017. There we focus on the Barents Sea after high quality awards in the 23rd round and APA 2015. The awards in the APA 2016 round bolsters our position in the Norwegian Sea,” Averty says. “Our commitment to the Norwegian Sea is demonstrated by the oil and gas discovery in well 6608/10-17 Cape Vulture, announced earlier today. This licence was awarded in APA 2015, and the well completed within one year of award. This is in line with our ambition to quickly clarify the prospectivity acreage we are awarded,” Averty says. In APA 2016 Statoil was awarded new production licences in all of the three provinces on the NCS.